-Light SS Vs Wakiso Giants – Amuria High School grounds. 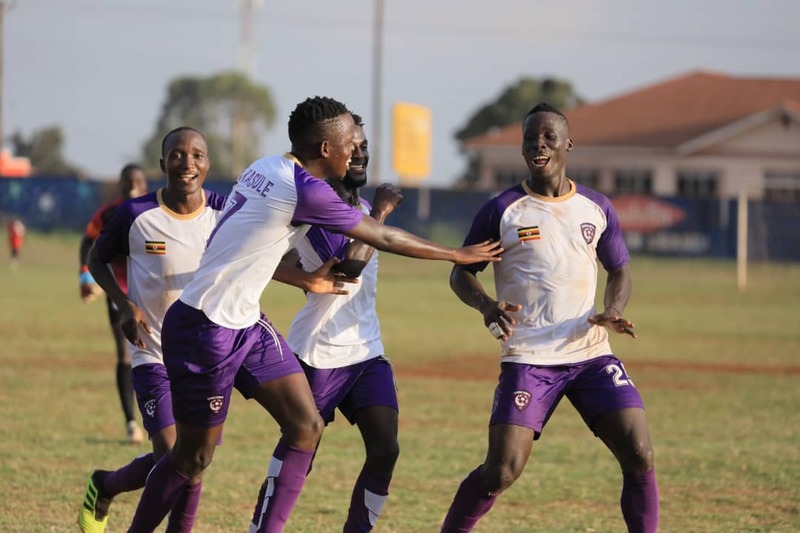 -Entebbe FC Vs Kataka FC – Muteesa II Stadium Wankulukuku. -Nebbi Central Vs Bukedea TC – Nebbi Grounds. -Kabale Sharp Vs Kitara FC- Kabale Municipal Grounds. -Kansai Plascon Vs Ntinda United- Bishops Grounds Mukono. -Bumate United Vs Proline FC- Christ High School playground. -Kiboga Young Vs Kireka United – Bamusuta Grounds. The FUFA Big League will resume on Thursday afternoon with 9 matchs played across the country. Elgon Group leaders, it is first against second as leaders Wakiso Giants take on Light SS at the Amuria High School play-ground. Light S.S fell 2-1 in their previous match away to Bukedea Town Council while Wakiso Giants needed a Duff Luboobi lone first half strike to defeat UPDF 1-0 at their home of Kyabazinga Stadium in Bugembe, Jinja. Wakiso is leading the group with 12 points, only one ahead of Light SS (11). Entebbe, a side coached by Allan Kabonge Kivewala seeks for the first win in as many games when they host Mbale based Kataka at the Muteesa II Wankulukukuku Stadium. In other games on the day, Alex Isabirye’s Kyetume travels to the intimidating Bombo Military stadium to face Steven Bogere’s UPDF. JMC Hippos make the long trip away to West Nile to face Doves All Stars at the Green Light Stadium. Nebbi Central, another debutant side in the league will entertain Bukedea Town Council in Nebbi. In the Rwenzori Group, leaders Proline are away to Bumate United in Bundibugyo. Shafik Bisaso’s side remains unbeaten and has only dropped two points all season, drawing 0-0 at Kitara on opening day. Kitara are also in action, away to Kabale Sharp at the Kabale Municipal Stadium. Elsewhere, Ntinda United makes the short trip to Mukono, to face Kansai Plascon at the Bishops S.S play-ground. Promising league new comers Kiboga Young will play Kireka United at the Bamussussuta S.Splay ground in Kiboga while Nebbi Central entertain Bukedea Town Council.